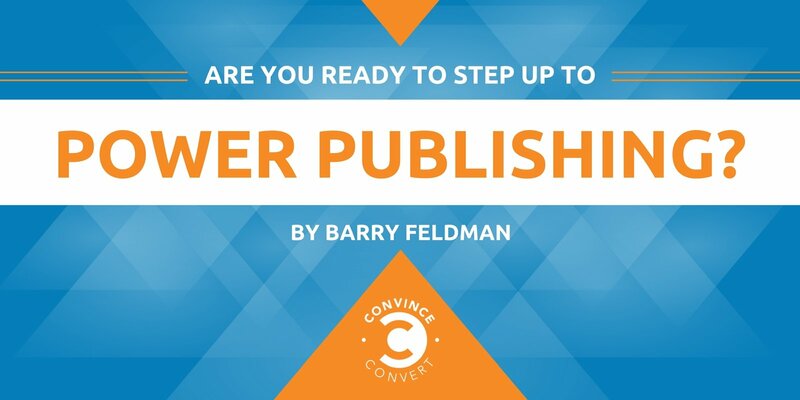 Are You Ready to Step Up to Power Publishing? I wrote a juicy ebook titled Master the Five Pillars of Power Publishing for the startup PowerPost and really want to share it with you. The publication actually cites two authors because the many ideas presented in it come from the sharp mind of Paul Shirer, the co-founder and CTO at PowerPost. Paul agreed to an interview with me to help shed light on how brands must address the new demands of publishing online at scale. Here’s that interview, followed by an edited transcript if you’re rather read. Barry: What is brand publishing, and is it the same thing as content marketing? Paul: It’s really a mindset. What publishing does is make it more serious. If you’re becoming a publisher, you have to actually have the right scheme and the right processes. You have to live and die and survive with your content. So it has to be the means to drive your business. When you take that mindset, it really has a transformational effect on the way you view your current content marketing program. Suddenly, now, you are going, “Wait. Have we written down our mission? Do we have a team that is aligned with this? Are we hiring the right people? Do we have a plan for content in a very strategic way? Do we have the technologies to scale a real publishing program?” And at the end of the day, is it high performing content per the investment dollars you’re putting in? It’s much like what a publisher would have to face. Inc.com or some other publisher like CNN, they can’t just put out content that does not drive audience and does not drive some level of conversion or doesn’t satisfy their advertisers, etc. So that switch, if you will, or that flip of the mindset to say, “I’m a publisher, versus just a content marketer,” is where we see the difference. Barry: Traditionally, a publisher basically takes care of making a publication, but now a publisher has to publish all over the place. You’ve got to be where your customers are. That’s definitely not only a website. I just read a great ebook co-written by Jay Baer of Convince & Convert and Jeff Rohrs of Yext, The Everywhere Brand. Its thesis is that giving your brand visibility requires being everywhere and thinking beyond the web, beyond your website, or even apps. Does that resonate with you? Paul: Absolutely. Where you need to be as a brand is obviously getting bigger and bigger. It’s where your audience is, number one, so it’s always the litmus test: Where’s my audience? You meet them where they’re at. You can’t expect them to come to you. You have to give in to the idea that the world is your website now—that everywhere is where you need to be—to the degree that your audience is there. Embrace the idea that there are multiple connection points for your audience and your content needs to be distributed in different channels for different types of people. For the rest of the interview, I simply prompted Paul to help expand on the five pillars of power publishing detailed in the ebook. 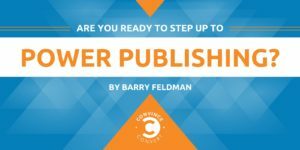 Barry: Let’s have our audience understand what PowerPost calls “the five pillars of power publishing.” What’s involved in this first pillar, the content pillar? Paul: We might call it “content supply” to give it more definition. At end of the day, you need the right content that’s going to resonate with your audience, and you have limitations. How much can you produce? How much can be intelligently adapted for the different types of target audiences quickly and easily? It opens up a whole can of ideas, of ways in which you can do that. We know that you can produce your own content, whether it’s images and infographics and videos. There’s a whole cycle of operations that goes with that and cost factors, too. Then, of course, you can curate content in intelligent ways. But ultimately you have to begin to look at what your overall objective is. As you start to become more serious, you realize you might need to outsource, or you might need to get real professionals that really know how to actually spin the content the way you need it. You might need to look more into evergreen content or “pillarized” content, if you will. There are so many options when it comes to content supply. One of the biggest pains that brands face is getting a systemic, strategic way of supplying content for the ongoing needs of their target audiences and distribution channels. Barry: Flip the page. Pillar number two is a workflow. Talk to me about workflow. It seems like some people simplify it down to email and G-drives or whatever, and some people buy software. Paul: There is no one way. You’ll find a hundred different ways in which people work. We may like email better. Maybe we like Slack. Maybe we like Google Calendar, Basecamp—all those types of things. But if you really are going to put together the pieces of the puzzle for publishing, you can’t just ad hoc that piece of it and then be able to evaluate how well you’re doing. If you are getting the types of content you want on the front end, next is workflow. How are you going to do it efficiently? How are you going to get it through review processes? How’s the creative artist going to touch it properly? How are you going to plan different types of pieces per campaign, per personas? It starts to become really daunting if you’re just opening up Excel sheets or opening a Google Calendar or whatever other tools you use. So if you want to become serious about that, ultimately, I believe, you have to invest in some level of automation technology for your workflow. It brings your team together in one place. It allows you to methodically plan the type of content you want for all the different distribution channels. Once you’re doing that, then you can actually perform some analysis as to how efficient you are, how well you’re doing, and where your major bottlenecks are. Barry: Distribution has to be a pillar when you introduce the idea of social media and your many channels. If you’re hopping from one to another all day long, you’re probably burning a little bit too much time, right? Paul: Yeah. One of the fun phrases we use is, “You need to get tab closure.” The idea being, you have all these tabs. You’re trying to manage all that stuff—Facebook, Twitter, Instagram, LinkedIn, WordPress—and so you’ve got all these tabs open. What we’re seeing is tools and technologies are integrating all these channels in one place. So you now are moving down the process of, “I’ve got my content, I work with my team, now I need to get this stuff out to where I want it to go.” Depending on the company—B2B, B2C, large, small, etc.—different vertical sectors, you have different needs or different wants for different channels. Ultimately you’ve got to get a plan together, and our answer would be using automation to distribute content. Barry: Turn the page once again, and you get conversion. This is where it gets interesting because whether we want to call it brand publishing or not, we do it for marketing purposes. That’s the most amazing conversion that you can get, but now, along the way, what’s the value of, say, micro-conversions as you go through the process? You have to put value on it because there is something to all your different objectives. If you really want to get a handle on them, you would look at the entire life cycle of a piece of content. The first thing is it’s distributed on some channel somewhere. Then you’re looking at micro-conversions along the way: Are they engaging with it? Are they clicking? Commenting? Sharing? And then, ultimately, is it driving people to some owned area or some conversion area to sell your product? The more you get a handle on this conversion maze, if you will, this lifecycle of content and the way in which your audience is engaging, the better. That’s what a publisher has to do, or they lose. Barry: We have to analyze this stuff. That always seems to come up last, but it’s kind of a circle. It doesn’t end with analytics. A lot of what you do begins with analytics. Paul: Yeah, it’s all intertwined. I keep talking about that lifecycle of a piece of content because you need data points along the way for analytics to work. One of the things we’re investing heavily in is the front end of a piece of content. That is saying you’re wrapping intelligence, if you will, or analytics around it on the front end. Getting a really good handle on the front end of it is going to give you a better back end result. Also, wrapping that intelligence, giving it something that you can track, UTM codes obviously, and URL shorteners, and things like that. So then it goes out the door, and again we go through those micro-conversions, hoping to drive prospects back to your website or eventually drive sales. The key is to get enough intelligence injected into that lifecycle of the post so that you can actually produce the types of reports or the segmentation of data that helps you do better, and, again, perform in front of the world as a publisher. Get a weekly dose of the trends and insights you need to keep you ON top, from the strategy team at Convince & Convert. Sign up for the Convince & Convert ON email newsletter.